More functions than you can shake a stick at, all machined from the finest Chrome Vanadium tool steel for longevity. The tool to have on that extended trip or if you just like being prepared for eventualities. 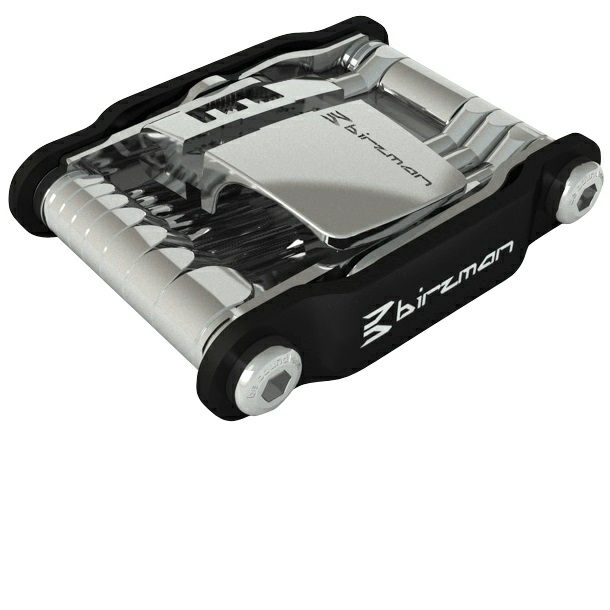 All Birzman multi-tool bits are forged and CNC machined. This technology provides benefits including weight saving by using less material, increased strength, a centre tool pivot and a neater finish over the extruded wrapped tool bits usually seen on multi-tools. Side plates and bolts are made from Stainless Steel along with the chain rivet extractor. Feexman E-Version Multi-Tool combination - Advanced edition is well designed. Function: 2/2.5/3/4/5/6/8T25 crosshead screwdriver, flathead screwdriver, chain rivet extractor, Disc adjuster, tyre lever, knife, can opener, spoke wrench 3.2/3.4/4.3/4.4/Mavic.